I was just wondering, and it seems to me, that most of you on this site went with small (10.5) tired cars? Isn't it more expensive to go this route verses going with big meats and tubs? I was just curious because it seems there would be more chassis or suspension work for a small tired car then there is in a big tired car, or maybe I'm wrong (which I have been before )? If its a bracket race car consistancy is the name of the game so big tires,adjustable suspension,light car etc,etc is the way to go but if its a heads up type car lots of rules apply and one of them is tire size.Trying to get a lot of horespower to the ground on a small tire is were all the fun is, its a lot harder to do it, not saying its easy to get a 4 link big tire car to work but its easier if it was built right. It would be hard to compete at a marginal track against a 4 link car with 16x33's on it when you got non adjustable leafs and 10.5's. I think its more impressive to get down the track on a small tire. No offense to the big tire guys. sc racing wrote: If its a bracket race car consistancy is the name of the game so big tires,adjustable suspension,light car etc,etc is the way to go but if its a heads up type car lots of rules apply and one of them is tire size.Trying to get a lot of horespower to the ground on a small tire is were all the fun is, its a lot harder to do it, not saying its easy to get a 4 link big tire car to work but its easier if it was built right. It would be hard to compete at a marginal track against a 4 link car with 16x33's on it when you got non adjustable leafs and 10.5's. I think its more impressive to get down the track on a small tire. No offense to the big tire guys. It's actually probably cheaper initially to setup for small tires, for example Craig's Nova hasn't even been mini-tubed whereas a big tire car you're going to have to backhalf it. So there's more expense up front. 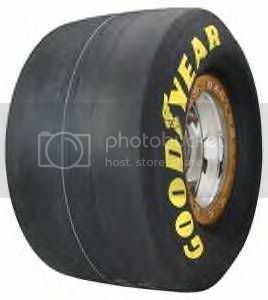 Long term, tire wear would be much better on the big tire car so the life time costs might be lower. Big tire also has numerous other benefits, can hook in a snow storm, lighter weight (backhalf), looks cool, more consistent, less problems with track conditions, etc. But... if you ever want to run heads up, they'll stick you in with the Pro Mod's with those big meats. On another note - Don, we want to see that fancy championship ring you're picking up tonight! I hate to mention this guys name, but speaking of small tired cars, I was told by a good friend, he could not believe how well Ed's Chevelle hooked. The big tires will last a whole bunch longer too. We're lucky to get 25 good passes on our little slicks, compared to some people can go years without buying tires. I stick with the small tire because I hate to see nostalgia cars with the big 16x34s, and its alot more fun to drive when your not sure what its going to do next, its a great challange. Granted I am slower than most (9.80's) but, I run a 28x10.5w on my 3200lbs 4 link bracket car. Love the tire, when it was time to get new tires I could have went with a 32x14, but based on consistency and not wanting to slow down, due to more rotating mass, I staid with the smaller tire. I am adding nitrous to the car for next year along with WAY better heads, manifold and a cam with over a .100 more lift, so Ill let you know if it stays as consistent as it was. 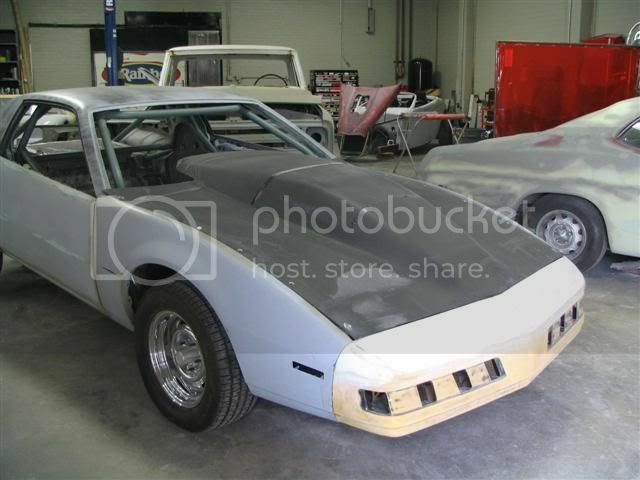 There is little cost difference between a full on back half and building a 25.5 or 25.2 stock suspension car. Both take a good deal of time to build and the biggest difference is the stock suspension car you gotta take extra time working around the stock rear frame rails & suspension. I build these cars for a living and neither are cheap. I myself am a die hard small tire, stock suspension guy. I like the challenge of putting power down to a small tire. It's alot more of an accomplishment as well as more impressive to do so than it is with a big tire. I get alot of enjoyment in racing big tire cars and driving past them at the stripe. I struggled last summer with an unloading issue. At one track I ran a full tube chassis big tire car. I had to peddle my car (due to the unloading issue) and the tube car had several car lengths on me early on. I reeled him in and blew by him at the stripe and dumped the laundry. I'm quite sure he wasn't expecting that from a naturally aspirated street car on DOT tires. Here's the pass in question. I'm in the Malibu in the left lane, tube car in the right. Here's the following pass...a bit better. Like John said, if you want to run heads-up and big tires, you better be packing a LOT of motor to be competitive. So that drives the cost way up. I started running the 8.5 slicks since it was an affordable way to get into heads-up racing. Of course the class as gotten somewhat out of control now and isn't cheap any more. But its still not like trying to compete in Pro Mod, Pro Street or such classes. Looks like we've got a bunch of Steet Outlaw's fans checking out this page? I assume they must have had a race on TV recently that had a small tire vs. big tire deal? Too bad I don't have TV, I would have liked to see Clint Downs and Bob Bales on the last episode. Those guys have raced with us at the MAKO events.